Summary: This one presents itself as a great, brief read which seems to be taking you along on a journey through ages to explore lives, looking back on the decisions made and the steps taken to basically survive. It is when you switch off from the book, close your eyes to recapitulate what all happened that you connect the dots and feel amazed on how everything written, though all disconnected, makes freakingly perfect sense. A great read, indeed, worth all your time. My take: Three generations – Sabitri, Bela and Tara – have their ways with life; they seem to be taking certain decisions which make perfect sense to them at particular times in their lives; still, they carry the weightage that came along with the steps taken. The connection between the characters, although belonging to different generations makes great sense along the read. There are various aspects of this book which seem intriguing the first time you hold the book, like the cover, which has borders similar to that of a saree telling the readers it might have something to do with feminism and a simple portrayal of the most basic requisite for worshipping, i.e., flowers, the TOC which mentions chapters in a disconnected series of time and the title which gives way to a whole lot of questions which are answered well through the read. The book follows a non-linear narrative approach with sections titled aptly and dedicated to each protagonist. You would find multi-layered characters of all the three leads, which are revealed layer by layer slowly and, thus, this helps maintain a slightly mysterious air around, keeping the reader glued for more. This wonderfully written journey of three women will surely want you to dwell into the book deeper and deeper and will bring a smile onto your face towards the end when everything will seem so apt. I particularly liked the last and the final letter Sabitri is able to write to Tara after so many efforts and this is what made me fall in love with the author a little more. Final word: That sensation, the goosebumps, what I look for in any book while I finally reach on to the last page and to the last words - this book gave me precisely what I was hoping for. 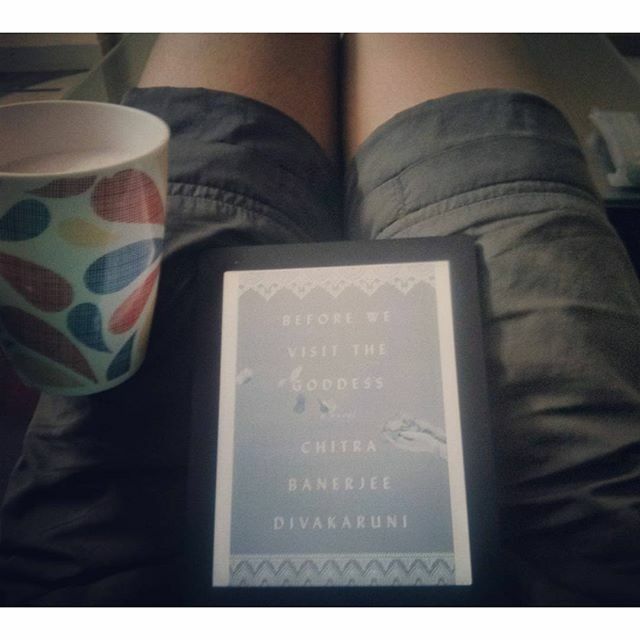 My first read from Divakurni has been a extremely well-written, dark, grim story about three generations of women - mother, daughter and granddaughter. This book would keep you glued till the end, wanting you to understand what led to the various acts. Further, the disconnected TOC intends you to be even more focused trying to put it all together like pieces of a puzzle. I look forward to reading her other writings.